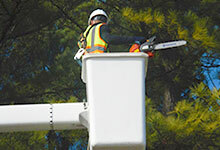 We use our bucket truck to trim small to large trees near obstacles to protect shingle and metal roofs from tree damage. We have the equipment necessary to remove very large trees near obstacles such as: houses, barns, fences, and power lines. We are very experienced in working on small to large commercial properties as well as small to large yards for residential. Tree Ready to Fall on Your Home or Office? Call us NOW and we can schedule an Emergency Visit to take care of any trees that may be ready to fall at a moments notice! Trees are the pillars of nature, majestic and resilient friends adding beauty and value to any property. Despite the common misconception that once established, trees need little to no care, C&S Tree Services firmly believes that trees should be a homeowner’s primary concern no matter the season. We have dedicated our life’s work specializing in tree care, arboriculture, landscape architecture and horticulture because trees are the elements keeping a landscape together, supporting its health and playing a major role in its thriving. 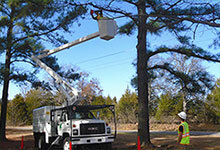 With years of experience behind, with passion, dedication and a customer-centered business approach, C&S Tree Services became an industry standard in our service areas. Beyond certifications and licenses, beyond our top of the line equipment and our dedicated and trained employees, our company values our customers’ satisfaction the most. No matter if you want your trees trimmed, removed or mulched, no matter if you are looking for an emergency tree work or a complex land clearing / forestry mulching session, we will make sure that you are 100% happy with our work. So happy, in fact, you won’t think twice before recommending us to your friends, neighbors and colleagues. Besides stellar services and affordable prices, we also offer our personal warranties that our work will meet and exceed your expectations, because if you’re not happy, we’re not happy. It’s that simple. We’ll Work Till We Drop Guarantee – If we remove a tree for you and you’re unhappy with the end result, we will keep working for free to fix the problem until your 100% happy with us. 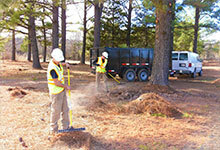 Your Ace-In-The-Hole, Can’t Lose Guarantee – If we trim trees and you’re unhappy with us for any reason, we’ll fix it. If we can’t fix it, we will give you the first 2 hours free, or if we’ve only worked for 2 hours and you’re unhappy, and we can’t fix it, you don’t owe us a dime. If We Break It We Buy It Guarantee – We are insured for your protection, and if we ever damage something too small for an insurance claim e.g. bench, table, etc., we will give you the money for the original price you paid. We will not complain or give excuses. 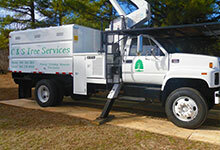 Take a look at our services and schedule a free assessment with our expert tree service foreman! No matter what type of trees you have or what services you require, be sure that we have everything covered and our no-risk policies will keep your property and assets completely safe!